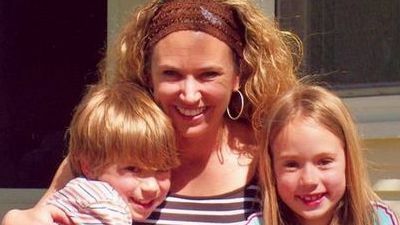 2 kids are now missing after their mother, Wendi Carpenter, failed to return them at the Holland Department of Public Saftey building. Officers from the Holland Department of Public Safety were asked to assist with a child exchange. The mother, Wendi Carpenter, had the kids for visitation during the summer and, per court order, was to return the children to the father on July 26, 2011 at the Holland Department of Public Safety building. Carpenter never showed. Officers began to investigate and beleive she fled the state with the 2 kids, Luke Carpenter and Cambria Carpenter. All were last seen in Holland, in the 300 block of Pine Ave., around 8:00 a.m. on Wednesday July 26, 2011. They left in Carpenter’s car, a 2006 Toyota Highlander, however, that vehicle has since been located in western Missouri. They may possibly have left that area in a dark colored SUV. The Ottawa County Prosecutors office has reviewed the report and has authorized a warrant for Wendi Carpenter for Custodial Interference. Detective with the Holland Department of Public safety are continuing the investigation and following up on all possible leads as to the whereabouts of the children.